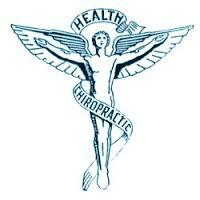 Our Services - Montclair Performance Health & Chiropractic, Inc. The most common therapeutic procedure performed by doctors of chiropractic is known as “spinal manipulation,” also called “chiropractic adjustment.” Manipulation, or adjustment of the affected joint and tissues, restores mobility, thereby alleviating pain and muscle tightness, and allowing tissues to heal. This is a gentle, non-force adjusting approach. The thing that most patients notice first is our special table. The movements of this table help traction the spine, opening up compressed spinal discs and reducing pressure on facet joints of the spine. Named after its developer, Dr. James Cox, this highly-effective technique combines osteopathic principles with the specific, highly-directed approach used in chiropractic. The combination offers a conservative resolution of low back and leg pain that often averts the need for surgery. ​The Cox Flexion-Distraction technique we use gives us the ability to place spinal joints in a more normal motion and position without pain or aggravating your condition. By lying on the table, neutralizing the effects of gravity, we're able to gently separate spinal joints and move them through a more normal range of motion. Patients find this surprisingly pleasant. We find it powerfully effective. For more information, visit www.coxtechnic.com. The use of Myofascial Release allows us to look at each patient as a unique individual. Our one-on-one treatment sessions are hands-on treatments during which our doctors use a multitude of Myofascial Release techniques and movement therapy. We promote independence through education in proper body mechanics and movement, self treatment instruction, enhancement of strength, improved flexibility, and postural and movement awareness. Hands-On Treatment: Each Myofascial Release Treatment session is performed directly on skin without oils, creams or machinery. This enables the therapist to accurately detect fascial restrictions and apply the appropriate amount of sustained pressure to facilitate release of the fascia. Neurologically: By stimulating certain pathways in the nervous system we are able to normalize the tone of over active or under active muscles. Through sensory, motor and proprioceptive stimulation, the doctors at Active Care Chiropractic is able to bombard the central nervous system with a tremendous amount of afferent (from the periphery to the central nervous system) input. This bombardment is like hitting control alt delete on your computer effectively rebooting your nervous system and restoring proper tone to the tissue. FAKTR was developed by Gregory H Doerr, DC and Thomas E Hyde, DC in 2002 and is currently taught throughout the United States, Canada, Latin America, South America, Australia and Europe. Functional Taping, such as Kinesiotaping has been used all over the world to treat injuries and improve sports performance. The application of the tape helps to create a bio-mechanical lifting mechanism that lifts the skin away from the soft tissue underneath, which allows more blood to move into an injured area to accelerate healing and recovery. 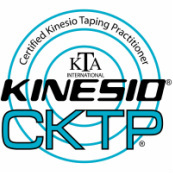 Both Kinesiotape and Rock Tape have been worn by athletes in the Olympic games and in many sports including swimming, track & field and triathlons. Functional Taping is a great way for your clinician to continue helping you even after you leave the office. ​K-Laser (Class IV) Therapy is the use of specific wavelengths of light (red and near-infrared) to stimulate the body's natural ability to heal. The effects of laser energy include improved healing time,​ pain reduction, increased circulation and decreased swelling. 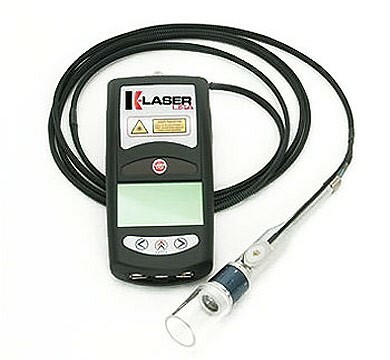 For more information check out: http://www.k-laser.com/medical-patients. The VibraCussor® instrument delivers waves of percussive impulses deep into the tissues of the body. The VibraCussor® has a 12-speed switch with a range from 8 cps to 52 cps. The calibrated speeds enable a practitioner to easily return to preferred frequencies for specific conditions. What is Chiropractic Instrument Adjusting? Just as lasers have replaced scalpels in some surgeries, advanced technology has become available to chiropractors to assist in delivering chiropractic adjustments.Your chiropractor and thousands of other doctors around the world now use the Impulse Adjusting Instrument® in the care of their patients. This patented and FDA registered device was specifically created to deliver gentle and precise chiropractic adjustments to the joints of the spine and extremities to relieve pain and restore function. ​The Impulse Adjusting Instrument® is controlled by micro-computer circuitry housed within the device that produces a controlled force that chiropractors can use to treat different areas of the body. These chiropractors use the Impulse Adjusting Instrument to provide this treatment rather than the traditional manual methods depending upon a case to case basis. Rapid Release is the Innovator of Targeted, High-Speed Vibration Therapy. The combination of a short stroke and high frequency delivers quick, effective results for minor aches and pains. This technology with both the models PRO2 and Juvenate have the positive benefits of what called Stroquency—a proprietary combination of short stroke and high speed vibration frwquencies that are unique to Rapid Release vibration therapy products and provide amazing results. Zero in on Aches and Pains With the PRO 2 and Juvenate’s pivot action, vary the angle of application by up to 90 degrees and experience different effects. Relieve aches and pains in Therazones (muscle groups), or target Therapoints (smaller areas) deep down. Rapid Release has taken the sports world by storm, trusted by trainers within organizations such as the MLB, NFL, NBA, PGA, Olympics teams and more. Why? It’s pretty simple. Because these individuals have found the Pro2 to be quick, effective pain therapy. Join the RRT Revolution!